Having the correct sums insured on your policy is vital in case of your business incurring any loss. 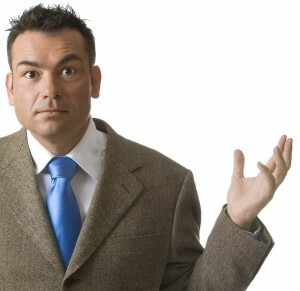 Inadequate sums insured will lead to insufficient claim settlement figures. HELP!! I am a victim of a burglary! What to do now? According to a survey of the national crime league, published in the Irish Examiner, each 19 minutes a burglary is committed in Ireland where the average value of goods stolen is 1,868 Euros. The Central Statistics Office indicates that there were a total of 28,706 burglaries or burglary-related offences in 2012 – an increase of 7.9 per cent on the previous year. These figures could be worrying for many homeowners, as a burglary can be costly, frightening and deeply upsetting. We have prepared an emergency list of 10 steps to follow if you are a victim of burglary. They’ll help keep you and your family safe, while giving you the very best chance of making a successful insurance claim. If you find that your home has been burgled, it’s important to call the Police straightaway. If you suspect that the burglar may still be inside your property, call the Police from a mobile or from a neighbour’s phone. Don’t start to clean up or move anything until the Police have had chance to inspect the scene, or you could be damaging vital evidence. They are likely to send specialist officers who will take a statement from you, as well as photographs and fingerprints. Ask for the reference number of the crime, you might need it later when filling in documentation . If your bank or credit cards have been taken, call their emergency number and have them stopped. These services are open 24 hours a day, 365 days a year, so don’t delay. If any important documents are missing, such as your passport, report that too. 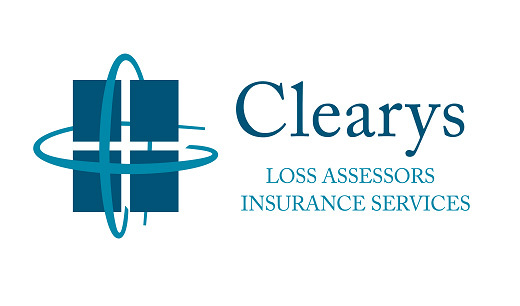 Contact an insurance Loss Assessor, like Clearys Loss Assessors. This is the best way of ensuring you receive a full and fair settlement from your insurers. As their first priority, your loss assessor will send out approved contractors and locksmiths to secure your property. They will board up any broken windows and replace any damaged locks. They are your friends and will help you deal with the stressful situation. Check your home for damage and start to make a list of items that are missing. If possible include model and serial numbers, as well as any purchase receipts you have. Give this list to your loss assessor, who will assist you in preparing an inventory of all lost and damaged items for presentation to your insurers. Your loss assessor will then contact your insurance company on your behalf, making them aware of the burglary and giving them your crime number and inventory. They will then act on your behalf throughout your burglary insurance claim. Once the Police have concluded their enquiries, it’s worth reviewing the security of your home. If you don’t already have them, fit locks to your windows and security bolts to your doors. You might also consider installing a burglar alarm. 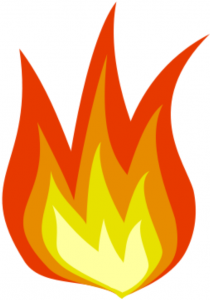 Have you ever suffered a loss in terms of fire, flood, burglary or other damage to your home or business? If you have, then there is a high probability that you made a claim on your insurance? 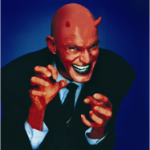 And if so, you may have used a firm of loss assessors to assist you with your claim. You may also have dealt directly with the insurance company yourself. The objective of any insurance policy is to assist the client regain what they lost during their incident. It is not intended to make people money. Your insurance company will aim to pay out a little as they can, within reason. The Loss assessors job is to work with you to establish what exactly you can claim for and to prepare and manage your claim in a professional way with your insurance company, generally ensuring a speedier and higher value payout. Insurance is a complex area and making a insurance claim can be testing. Not only do you have the emotional trauma of loss to deal with, but you also have to deal with the insurance loss adjustor, appointed by the Insurance Company looking at everything in a practical way, aiming to quantify losses and reduce payouts. The loss assessor works for the client at all times and can negotiate on your behalf to ensure that you get the settlement that you are entitled to. A loss assessor will work on any type of claim. The only stipulation required is that you are insured in the first place. Now is not the time to be eliminating insurance payments. Loss Assessors are skilled in assessing loss and value of loss. In a business environment, there may also be loss of income claims so please be aware of this too. If you have suffered a loss, do the right thing and call Clearys on 1850 28 1850 today for an initial discussion. We will save you time and money and remove the pain in making insurance claims. Do You Know your Value at Risk? In the current Economic Climate, a major loss can end a company, particularly if the company is not accurately insured. Continue reading Do You Know your Value at Risk? A Lesson To Learn, Now. As a result of the November floods last year, Grassland Fertilizers suffered losses of up to €1.3 million when up to 70% of the stock stored at its Cork facility was destroyed. A claim was processed and the underwriters failed to pay because there was no cover in place for flood, burst pipes, tempest and/or storm damage. Grassland are now bringing their insurance broker to the commercial court in an effort to recoup their losses. Continue reading A Lesson To Learn, Now. We all assume that when something goes wrong, our insurance company is there to help us out and foot the bill. This is the wrong assumption to make as an increasingly hig number of risks are either underinsured, insured incorrectly or are not insured at all. Why use an independent loss assessor? The insurance claims market is constantly changing, and usually in ways driven by the insurance companies themselves. We have noticed, and I’m sure you have too if you have been monitoring the press recently, that the insurance companies are changing the way they are dealing with claims. This is in our view, in order to slow down the payment of settlements. Don’t get me wrong, we are in no way implying that your insurers will not pay the claim, we are stating however, that they are taking longer to do so. Here- to- fore, property damage claims were being dealt with, very quickly and we were constantly hearing from loss adjusters that they were under pressure from insurers to meet deadlines in relation to first visits of sites of damage. And then further deadlines in relation to producing reports, both preliminary reports and final reports to the insurance companies in order to progress the claim to settlement as quickly as possible. Payments were based cash with no effort by insurance companies to undertake any replacement or reinstatement work themselves Continue reading Why use an independent loss assessor?